A story of oppression and fear, sorrow and despair, but also of love and happiness. Only after her mothers’ death Astrid was informed that her uncle Bruno did not die during WWII. Instead he survived a Siberian labour camp and moved to Bucharest together with his fellow friend Dinu, a Romanian composer, facing dictatorship again. But Astrid receives this information step by step. 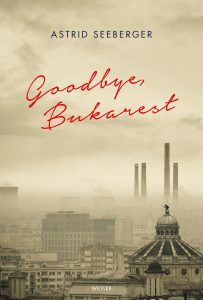 Like piecing together a puzzle she searches for people who met her uncle, and while telling their often harrowing fate, scene by scene European history and the impact of totalitarian dictatorship reveals the touching story of refugees. ASTRID SEEBERGER, born in 1949, grew up in South Germany. At the age of 17 she moved to Sweden. She studied philosophy, theatre and film studies and medicine. Seeberger became a renowned doctor, an enthusiastic scientist and a popular lecturer. Writing has always been her passion; this is her third novel.